Golden Pass LNG terminal is located on 900ac on the Sabine-Neches ship channel, across from Pleasure Island in Texas. Image courtesy of Golden Pass Products LLC. The import LNG terminal is operated by Golden Pass LNG, a joint venture of Qatar Petroleum and Exxon Mobil. Image courtesy of Golden Pass Products LLC. Golden Pass facility has a capacity of 15.6mtpa. Image courtesy of Golden Pass Products LLC. Golden Pass LNG is a joint venture between Qatar Petroleum (70%) and ExxonMobil (30%). The $1bn Golden Pass LNG project began in November 2003 and commenced operations in 2010. The plant has the capacity to process 15.6 million metric tons per annum (Mtpa) of LNG, which is equivalent to approximately two billion cubic feet of natural gas a day (bcf/d). The Golden Pass LNG terminal imports gas from various domestic natural gas sources such Haynesville, Eagle, Permian, Marcellus, Barnett, Ford Bossier, Utica and Mid-Continent basins. An expansion project is underway to construct a 16Mtpa LNG export facility at the Golden Pass LNG terminal. 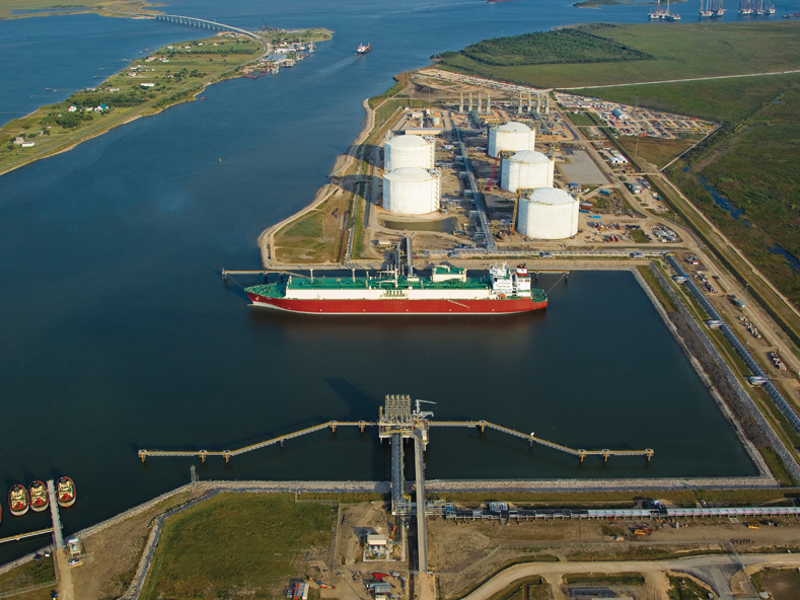 The terminal is located ten miles south of Port Arthur and two miles northwest of Sabine Pass, Texas, in an industrial area on the Sabine-Neches waterway, an industrial ship channel. 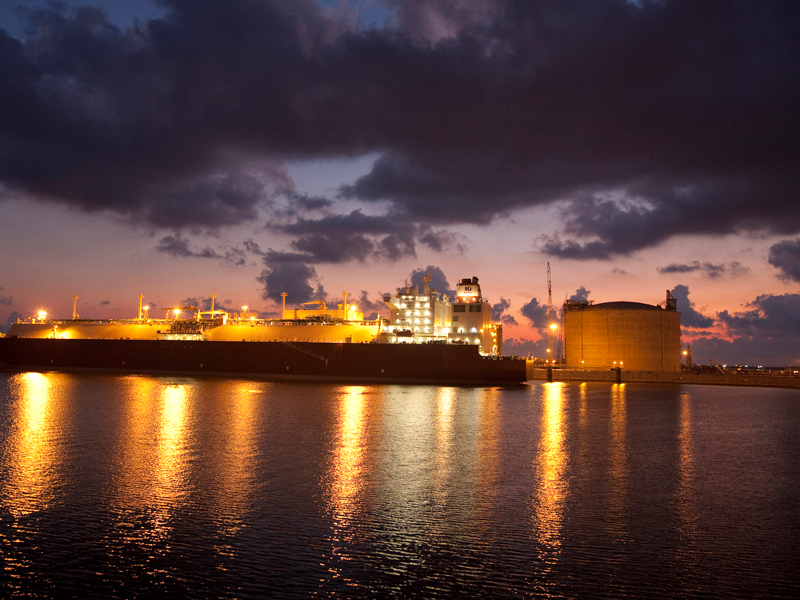 Port Arthur is an appropriate location for an LNG terminal as it is one of only a few deepwater ports along the Gulf Coast suitable for receiving LNG tankers. In addition, Sabine Pass has existing pipeline infrastructure with access to South East Texas and US markets. A National Environmental Policy Act (NEPA) pre-filing request was submitted to the Federal Energy Regulatory Commission’s Office of Energy Projects in November 2003, which was the first step of the permitting process for the project. In July/August 2004, the Golden Pass LNG project filed formal applications for the LNG terminal and natural gas pipeline project with the FERC. In June 2005, FERC staff issued the final environmental impact statement. In July 2006, the FERC approved the Golden Pass LNG project and issued the order granting authorisation under section three of the natural gas policy act. The Golden Pass LNG terminal also received all other major federal and state permits. The terminal covers 900 acres on the Sabine-Neches ship channel, across from Pleasure Island. The Golden Pass LNG import facility comprises a regasification unit with a capacity for two bcf/d of gas accompanied by five 155,000m3 LNG storage tanks and two marine berths. The plant permanently employed up to 75 people at all levels, including operators, maintenance, managers and administrative personnel. Construction of the import facility created approximately 1,000 temporary jobs in the region. A new Golden Pass liquefaction and export facility will be constructed adjacent to the existing LNG import terminal on a 919-acre site along the Sabine Neches waterway. The expansion will add three 5.2Mtpa liquefaction trains, a refrigerant and condensate storage tank, a supply dock and a marine delivery facility, a truck unloading facility along with a feed gas pre-treatment facility comprising of a mercury removal system, an amine system and a heavy hydrocarbon removal system. The liquefaction trains’ turbo-machinery unit will comprise six gas turbines and 12 centrifugal compressors. A new 4.8km-long pipeline, with a diameter of 24in, will be constructed adjacent to the existing Golden Pass pipeline, covering an area of 99 acres. The pipeline expansion project also includes construction of three compressor stations associated with the LNG export facility in Jefferson and Orange counties, Texas, and in Calcasieu Parish, Louisiana. Five pipeline interconnections will also be constructed for the export facility project. The LNG from the facility will be sold to Countries, which entered free trade agreements (FTAs) and non-FTAs (nFTA) with the US. In August 2006, Chicago Bridge and Iron Company NV (CB&I) were awarded a lump-sum turnkey contract to build the Golden Pass LNG terminal. The CB&I contract includes the engineering, procurement and construction of LNG production facilities. Bo-Mac Contractors built the road and Fugro Consultants carried out soil analysis and test pilings for the construction. A joint venture between Chiyoda International, McDermott International and Zachry Group received the engineering, procurement and construction (EPC) contract for the export facility in February 2019. Golden Pass LNG awarded the front-end engineering and design (FEED) services contract to Chiyoda International and CB&I in July 2014. Baker Hughes is responsible for the supply of the turbo-machinery equipment for the Golden Pass export facility. The 111km Golden Pass pipeline project extended approximately 75 miles and crossed four counties in Texas and one parish in Louisiana. The pipeline is connected to 11 interstate and intrastate pipelines. In addition, a short pipeline is tied into the Beaumont industrial area. The construction for the Golden Pass Pipeline was completed in 2009. The Golden Pass LNG pipeline has a capacity of 2,600,000Dth of gas in a day and is connected to various intrastate and interstate pipelines such as the Texoma and Transcontinental gas pipelines, providing access to the eastern US gas markets. 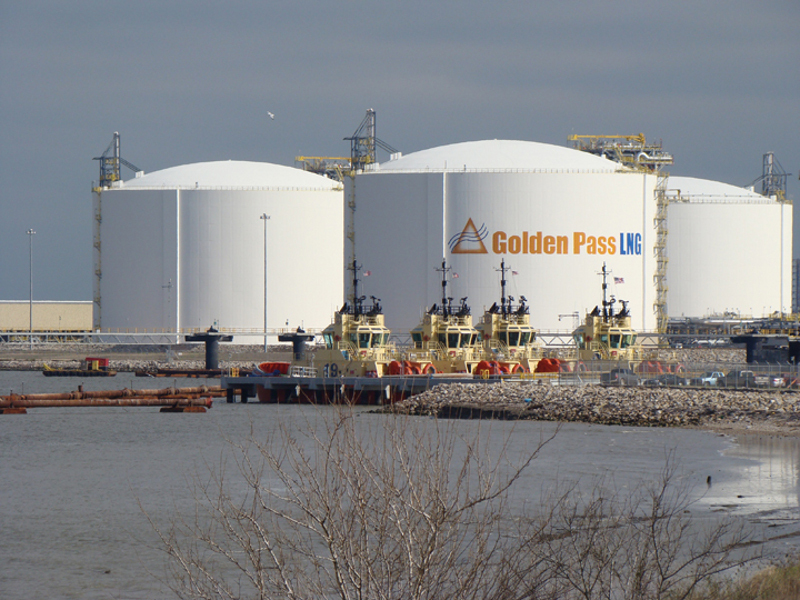 Golden Pass Products, under two 20-year agreements with Enable Gulf Run Transmission and Natural Gas Pipeline Company of America (NGPL), imports 1,100,000Dth/d and 340,000Dth/d of gas, respectively, to the LNG terminal.